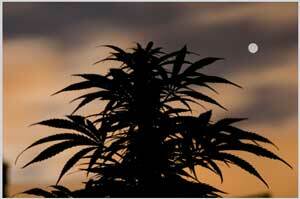 Have you been charged with cultivation of marijuana or other related drug crimes? Call The Criminal Law Team comprised of criminal lawyers Stephen Hebscher & Bruce Karten. The Criminal Law Team has extensive experience defending drug charges throughout Ontario, and we have achieved excellent results for our clients. We have handled numerous cases involving clients who have been charged with cultivation of marijuana, as well as other drug offences including cocaine possession, drug possession and drug trafficking. The Controlled Drugs and Substances Act calls for a maximum penalty of seven years imprisonment for the offence of production of marijuana. In addition, the Canadian government has recently introduced mandatory minimum sentences for cultivation of marijuana and other more serious drug crimes. The new mandatory minimums include sentences as high as 6 months in prison for the cultivation of over five marijuana plants, if the production is for the purpose of trafficking. The minimum sentence could be raised to nine months if the accused uses someone else’s property to grow the marijuana, the production constituted a potential public safety hazard in a residential area, or the accused set or placed a trap that is likely to cause death or bodily harm to another person. There is also a minimum two year prison term if the accused is found guilty of trafficking in drugs, such as marijuana or cocaine, and the accused “committed the offence in or near a school… or in or near any other public place usually frequented by persons under the age of 18 years”, or the accused used the services of such person, or the accused committed the offence in a prison. If you have been charged with cultivation of marijuana, cocaine possession, drug production or drug trafficking, it is important that you retain The Criminal Law Team as soon as possible. We have the ability to identify weaknesses in a search warrant and the supporting observations, which could result in charges being withdrawn, a verdict of not guilty at trial, or preventing the prosecution from seizing your home as “offence-related property”. While the severity of punishment for drug offences in Canada can be harsh, Toronto’s Criminal Law Team has had substantial experience challenging police search warrants, and the lawfulness of police arrests. For example, in one search and seizure case where at least four different types of drugs were alleged to have been located in our client’s home, we were successful in obtaining the withdrawal of all charges, largely because of search warrant issues and inadequate back-up observations. In other cases where the conclusions about search warrants or police observations were not as clear, we were able to negotiate a plea to a much less serious charge that resulted in the avoidance of lengthy jail sentences. In the past several years, police forces across Canada have justified significantly stepping up their investigations of marijuana (cannabis) grow operations. With our experience in this area of the criminal law, we are familiar with how to challenge police conduct and search warrants. It is not uncommon for police to receive an “anonymous tip” that a home is “suspected” of being used for the cultivation of marijuana. If the police do not follow-up on the tip before they enter a place they wish to search, then any evidence obtained from the execution of the search warrant may not be admissible. The tip must be corroborated by police investigation in order to uphold the search warrant. Therefore, it is routine procedure for The Criminal Law Team to obtain a copy of the search warrant and the affidavit in support of the warrant to determine whether or not there are serious weaknesses in the prosecution’s case. Toronto’s Criminal Law Team have a combined 60+ years of courtroom experience specifically in criminal law, and have defended hundreds of clients charged with cultivation of marijuana, drug trafficking, drug possession and other drug offences. We have an estimated 85% success rate in getting charges dropped, reduced or withdrawn completely. See what our other clients are saying about us. We can help you too!